Customer experience is in the midst of an evolutionary breakthrough where service is more important than the product. 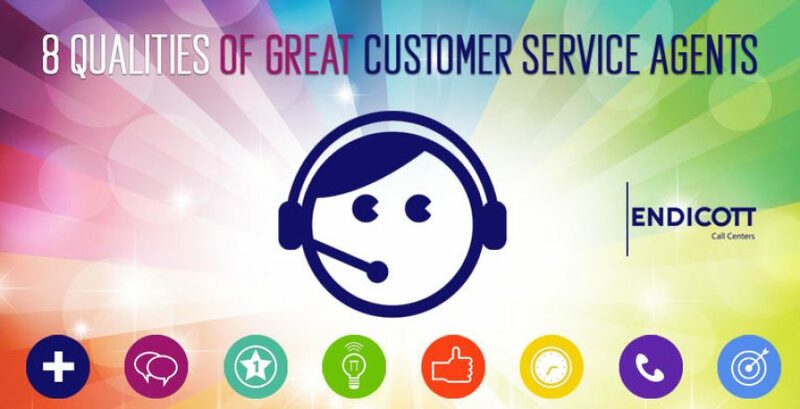 Your company may be selling a great product, but without great customer service agents the customer will not connect with the company at an experiential level. He or she may not be satisfied. Further, companies are also in another level of customer interest, converting customers into ambassadors. They have realized the value of a satisfied customer. They want to extend the lifetime value of every customer. By doing so, they are reaping great rewards. That is why most companies are investing heavily in customer service. However, not every customer service agent will deliver the same experience. Some might even be a liability to the company, which makes choosing customer care agents a critical function. Some companies are choosing to forego this task by outsourcing the service. Whether you decide to outsource or recruit your customer service team, you will need to know what it takes to be a great agent. Here are the eight qualities that you should never compromise. Customers want a helpful person. One cannot be useful if he or she does not know company products, processes, product specifications, and such things. The customers expect the company rep to know most of the things. They will rate the company based on information the agent provides. 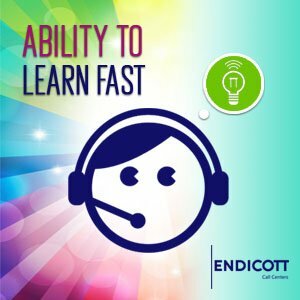 Being eager to help is one thing, going ahead to deliver that needed help differentiates between a happy customer who leaves positive feedback and a disgruntled customer ready to leave a negative mark on the company. The agent must grasp things quickly to succeed. Though it takes considerable on-job training, the natural ability to retain and use information is imperative. It takes a certain way of doing things to deliver an extraordinary service experience. The most important way to approach every task is by being methodical and systematic. If you are not organized, you will fluster and end up messing things up. Can someone rely on you? Do you have the right level of discipline? It takes considerable effort to be reliable. A person who displays a natural ability to be detail-oriented, punctual, well dressed, and systematic is the right fit for customer service. You can expect that person to carry himself or herself with professional etiquette at all times. Customers love that ability. They will always be encouraged to leave feedback, which can assist the company in its quest for improvement. Good communication skills are important and being audible is not enough. You need to pack more in creating warmth, compassion, and a supportive body language. Every client will come expecting a great experience. He or she will rely on you to make that happen. It is the responsibility of the service rep to make customers feel welcome and valued. If they are complaining, your agent has to maintain professionalism and be as helpful as possible. He or she must be the epitome of calm when addressing a client. Different clients will need different approaches. It is his or her ability to discern how to handle each client. The listening, social, and people skills will come in handy in every situation. If the rep asks a question to the client, the client will expect him to note it down for reference. Everything captured should be correct. Maintaining your cool even in a situation where you may take insults from customers is not a fun experience. However, customer service reps should have this natural skill. They should manage both the client and themselves. Ability to calm the client is imperative. Ability to put on a cheery smile even when dealing with a troublesome customer separates great agents from average ones. There are always new tasks to take in customer service. It takes a lot of adaptation to move from one department to the other. It also takes considerable learning, ability to multitask, and reassignment on short notice. To survive in that environment, someone must be show hunger for more skills. They must show a willingness to overcome ambiguous situations. People who feel they have everything they need may not succeed in a multifaceted company environment. Separating the two is hard. Some people have positive energy, but their body language betrays them. Such people may not fit well in customer service. Customers want truthful information. If there is a valid concern raised by the client, brushing it aside with a empty but positive response will be counterproductive. A good customer service agent is not afraid to show they are human. However, he or she must be able to compensate that with loyalty to the company by mentioning the positives in a way that shows the customers the factors that set this product or service apart from the competition. Some people have the Good Samaritan type of attitude wherever they go. Even when it is not their business to help, they try to. Those type of people can make great reps. At times you win customers by being useful to them. They may not even know what you offer, but because of your helpful information, they may make a purchase. For example, someone may inquire about a service or product offered by your company. Upon listening to the client, you can make a judgment call to recommend a different service or product instead of what the client initially inquired about. If you go ahead and explain why you recommended what you did, the customer will be convinced that you are attentive to his or her needs. Most customers make unstructured calls. Sometimes they are inpatient, moody, or even angry at something. Since you cannot get all the information in the midst of a tirade of insults or complaints, your ability to control the interaction will come in handy. Once the caller feels heard and understood, the agent can move into the call resolution. The customer must feel a genuine attempt to want to get all the facts right. It is a time that the rep has to make a judgment call on whether to schedule a callback or make a referral to the line managers or supervisor. A good customer representative is an asset to the company. He or she can motivate customers, encourage them to make purchases, guide them through the buying process, and handle difficult situations. If the customer is unhappy, the agent is responsible for calming him or her down. 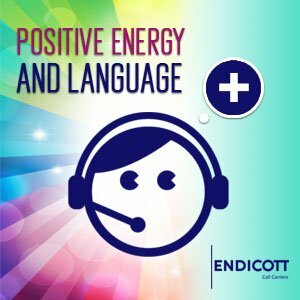 It takes considerable people skills, ability to read customers, communication skills, positive energy, patience, and listening. On top of all that, he or she must have the ability to soak in information. He or she needs to develop an interest in learning new things. It, therefore, follows that excellent customer service engagement is an experience that can only be delivered by the right people. If you don’t have the people, you will struggle no matter how great your other business functions are. The outcome is improved customer experience, reduced negative feedback, and overall satisfied customers.